The town of Gold Hill established in 1892, was named for a gold bearing mountain just east of town. Gold Hill became famous for its location of many minerals including silver, gold, copper, lead, tungsten, and arsenic. This first boom died and the area was left behind. The Deep Creek railroad was built into Gold Hill in 1917 and the town quickly bloomed. Arsenic was badly needed during World War 1 to control insects destroying the cotton fields of the South. Over 3,000 people lived and worked here as stores, a school, a pool hall, and a newspaper flourished. Then cheaper foreign sources of arsenic became available and the town faded. World War 2 reawakened the town due to high demands of tungsten used in steel and for electric filaments. 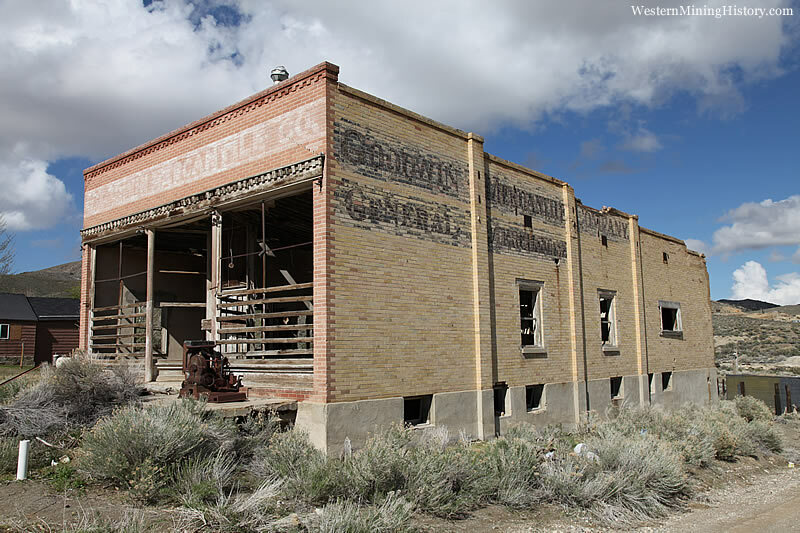 Tones were shipped out until the need was gone and the town of Gold Hill dwindled again. A United States post office operated at Gold Hill from 1911 to 1949.